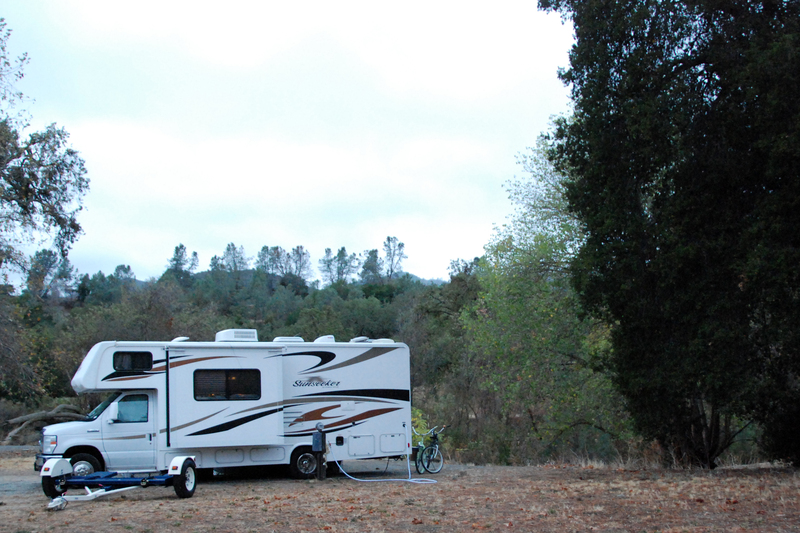 One of the many things I’ve learned while RVing is to choose a campsite in the day. But what happens when we get to a new location after it’s dark? 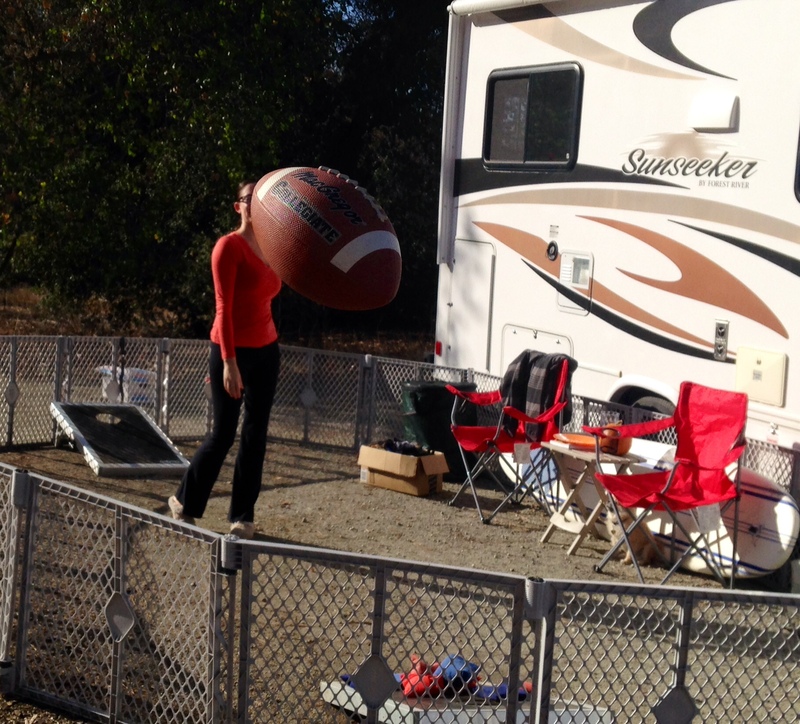 Being full time RVers our campsite is our temporary home. You can imagine that makes us fairly picky on picking the best site available. We change locations typically every 2-3 weeks and it’s quite the process. It’s a house on wheels bouncing down the road so we have to secure everything in the fridge, cupboards, pictures, etc. Which means when we get settled into a location we have to make it look like home again. Also our dog gates and surfboard doesn’t fit in the storage so when we travel they go inside the coach and blocks the walk way. 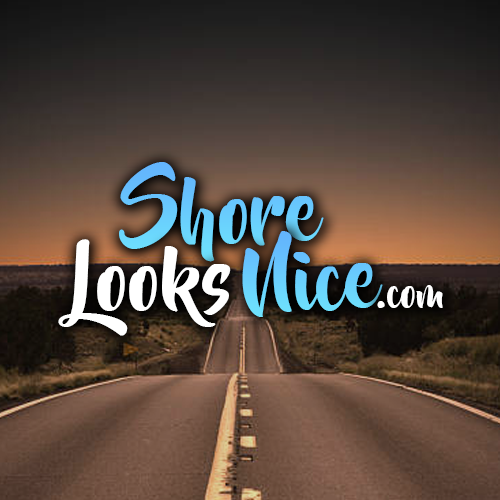 One of our biggest factors in choosing a site is the view. What we’ve learned when we come into a campground after dark is to pick a spot that has easy access. Just set up the basics for the night. 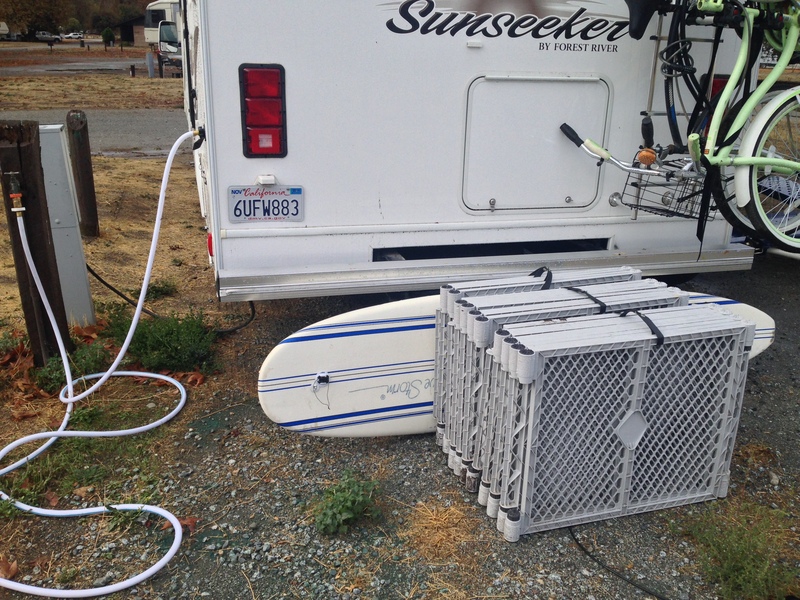 We unload the car off the dolly, get the surfboard and dog gates out of the coach, hook up the water and electric and that’s about it. 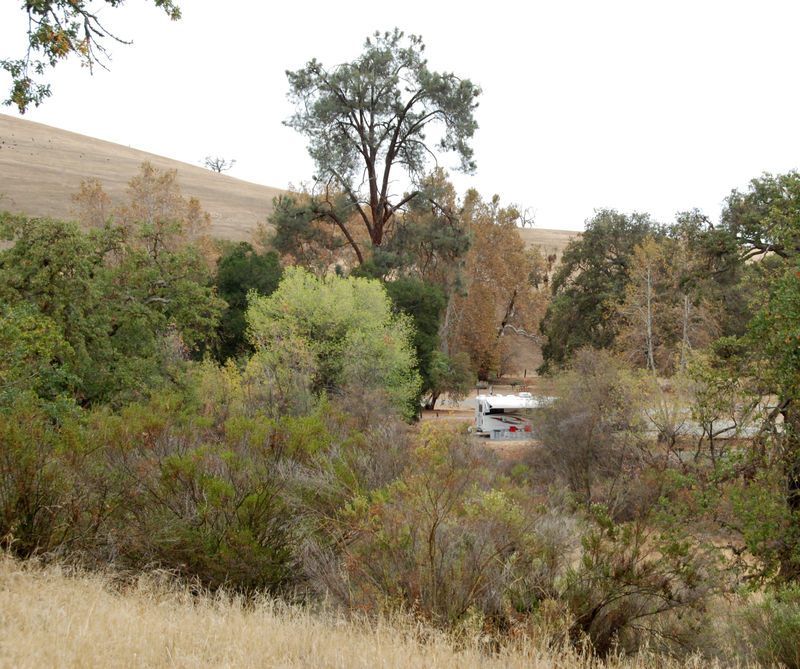 Then in the morning we get in the car and scope out the campground to pick a spot that we like. It’s pretty basic what we look for in a site. We look for a view and the best cell phone service. Typically cell phone service isn’t a concern however in some areas you’re starving for an extra bar. We have our Wilson to give us a boost however the Wilson and the extra bar in the right location sometimes is needed. We recently visited the Thousand Trails San Benito Resort. 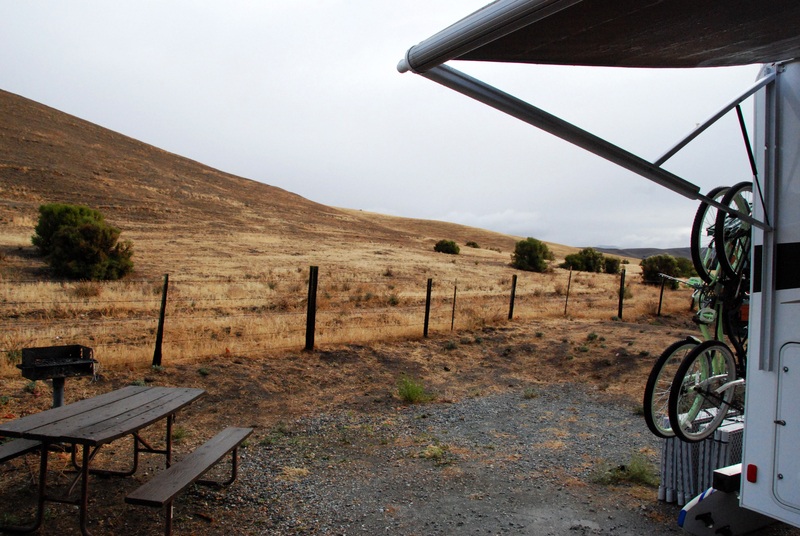 It’s located in between Hollister and Pinnacles National Park. We’ve been to this resort before so we picked the site in the dark that we had stayed in on our last visit. I thought this spot was beautiful because it’s nestled in the rolling hills. I was content with hunkering down but Danielle convinced me to check out our options. In the morning we scoped out the rest of the campground. To my surprise I found an area that I didn’t know existed. This resort is HUGE! I also didn’t know they have beautiful hiking trails on the campground. This is one of the resorts that you are cell phone service starved. Make sure you have your Wilson because it works wonders. We found a few spots that had decent reception and then picked based on the view. The area that I didn’t know existed must be a secret to a lot of people because we didn’t have any neighbors. 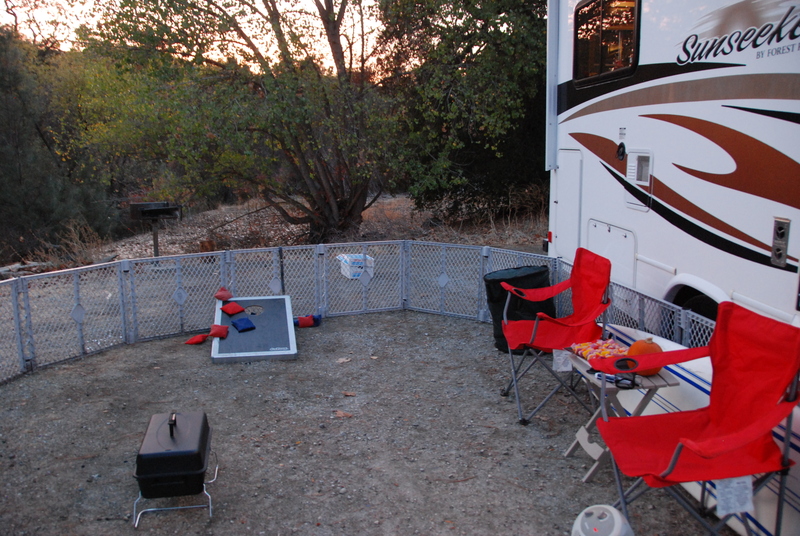 We also were able to get the spot that I felt had the best view in the entire campground! 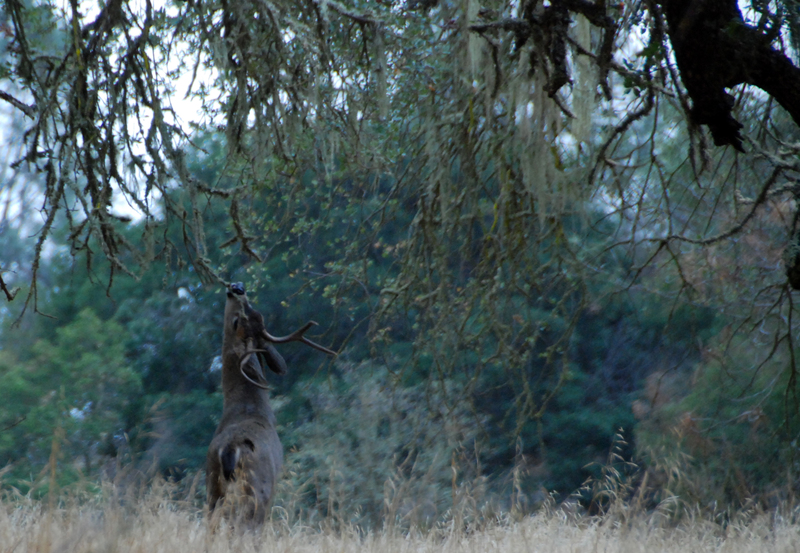 It was right next to the hiking trail and had views of the hills, foliage of the trees, and had a lot of wildlife. This guy was eating the tree directly behind our site. 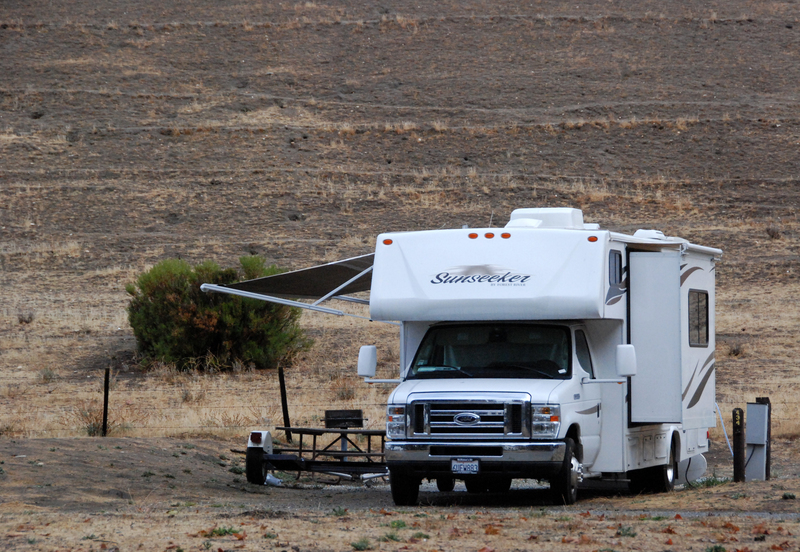 The view of our RV from the hiking trail. 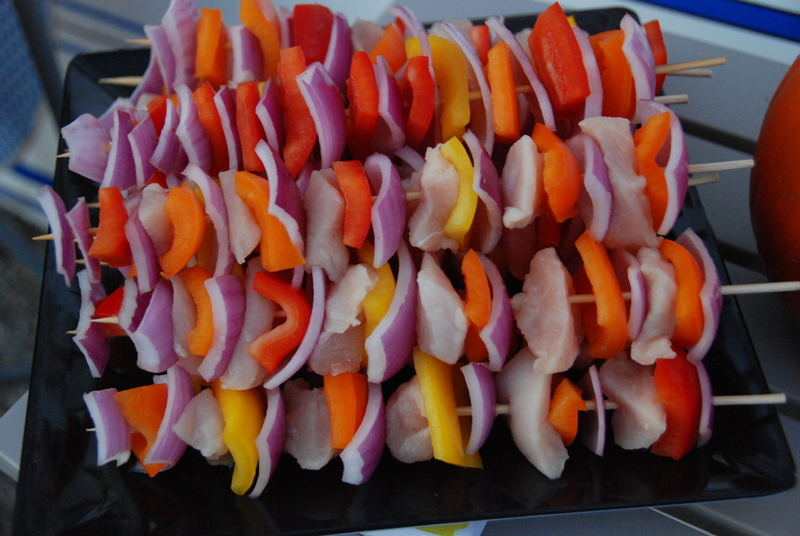 Once we got settled in we played some catch and cooked up some Kabobs on the grill while the sun went down.